In Ice, Klaus Dodds provides a wide-ranging exploration of the cultural, natural, and geopolitical history of this most slippery of subjects. Beyond Earth, ice has been found on other planets, moons, and meteors—and scientists even think that ice-rich asteroids played a pivotal role in bringing water to our blue home. But our outlook need not be cosmic to see ice’s importance. Here today and gone tomorrow in many parts of the temperate world, ice is a perennial feature of polar and mountainous regions, where it has long shaped human culture. But as climates change, ice caps and glaciers melt, and waters rise, more than ever this frozen force touches at the core of who we are. As Dodds reveals, ice has played a prominent role in shaping both the earth’s living communities and its geology. Throughout history, humans have had fun with it, battled over it, struggled with it, and made money from it—and every time we open our refrigerator doors, we’re reminded how ice has transformed our relationship with food. Our connection to ice has been captured in art, literature, movies, and television, as well as made manifest in sport and leisure. In our landscapes and seascapes, too, we find myriad reminders of ice’s chilly power, clues as to how our lakes, mountains, and coastlines have been indelibly shaped by the advance and retreat of ice and snow. Beautifully illustrated throughout, Ice is an informative, thought-provoking guide to a substance both cold and compelling. "[Ice] explores our engagement with ice in art, literature, film and television, and in sport and leisure. Taking us on an enlightening journey to reveal how human communities have made sense of ice over the centuries, Dodds discusses man’s exploration of ice and how indigenous peoples have adapted to live in frozen landscapes. . . . Well illustrated throughout, Ice is an informative and entertaining guide that sheds light on something we often take for granted." "A wide-ranging exploration of the cultural, natural, and geopolitical history of ice. It is very readable by all and forms part of a series of twenty four other books on natural phenomena written by various experts. . . . An easy and interesting read for anyone wanting to become an instant expert on all things ice." "Dodds is no stranger to the polar world and its glacial environment, having written widely on Antarctica and northern issues. He tackles the challenge admirably, selecting examples and situations that will invariably be found to be engaging, informative, and often surprising. This book has an unnerving, eclectic mix of aesthetics, folklore, and science. . . . This is an engaging read, almost a romp, through a world of ice and snow from a very different perspective to science-focused essays." 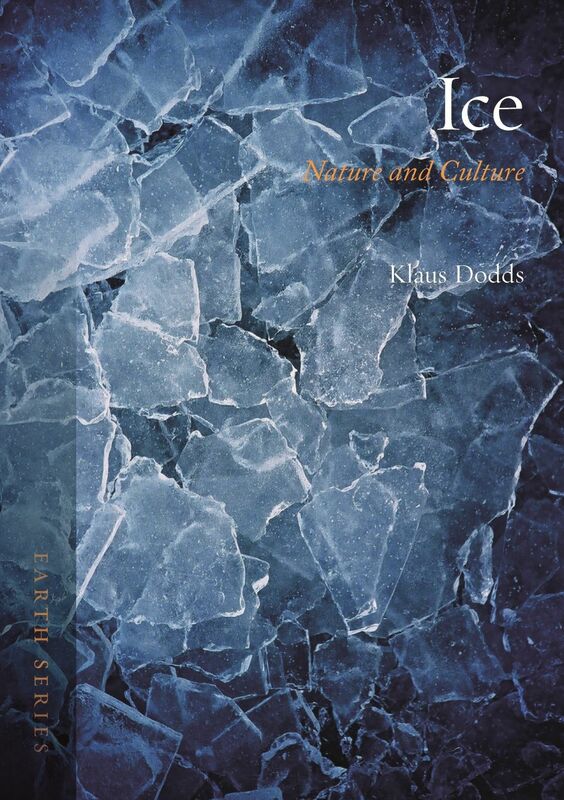 "In Ice: Nature and Culture, Dodds gives the slippery and ephemeral material center stage to show how ice is not only fascinating but fundamental to human life itself. As a part of Reaktion Books' Earth series, Dodds’s exploration of ice is both a literary and a visual pleasure to read, with beautiful color photographs throughout the book. . . . Wide-ranging." "A broad look at all the ways that ice manifests itself and has influenced human lives and cultures across time. . . . [Dodds] is keenly aware of and concerned about what today’s rapid melting will mean to our lives—physically, imaginatively, and in planetary health. Dodds concludes that, in future talks about ice, ‘the tone is likely to be less focused on wonder and enjoyment and rather more tilted towards risk, hazard and a profound sense of loss.’"
"In sum, the book is very interesting and relevant, posing topical and judicious questions. Well-researched, Ice is full of fascinating anecdotes, captivating stories, and well-chosen literary quotes. . . . A quality read that a curious reader will find rewarding."